No October will ever be complete without a terrifying movie marathon. It is essential at times to blast our brains with some adrenaline and popcorn butter, two substances that run thick in this autumn weather. Unless you are in one of those poser states like Arizona. Get it together Phoenix, you can’t respect nature without worrying about freezing your testicles to a park bench every once in a while. Pontypool: It’s this close to election day and a Canadian flick makes it onto the list? Wow, where is my sense of Patriotic duty. Duty. Duty. Doooty. Due tee. 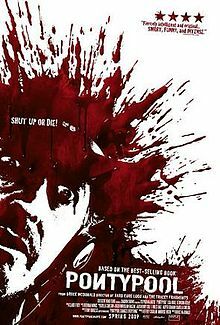 Anyway, Pontypool is a pseudo zombie flick in which words spread a virus that takes over the minds of its victims. Once infected, a saying or phrase gets repeated until a suicidal equilibrium is met. Well acted, genuinely creepy, and amazing setting make this a movie not to be missed. To learn more, check out our podcast on the film. Duty. Duty. Duty. 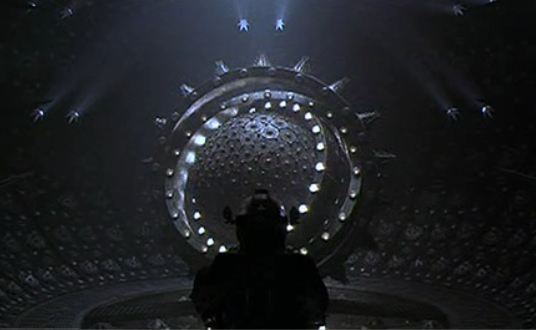 Event Horizon: Derelict space station horror at its finest. Take a ride with the dude from Jurassic Park and Lawrence Fishburne through the wormhole and into hell. Although the movie is getting on in years, the special effects hold up surprisingly well. This gruesome bit of cosmic cruelty will drag you into dimensions unknown, and there is no way to come back quite the same. 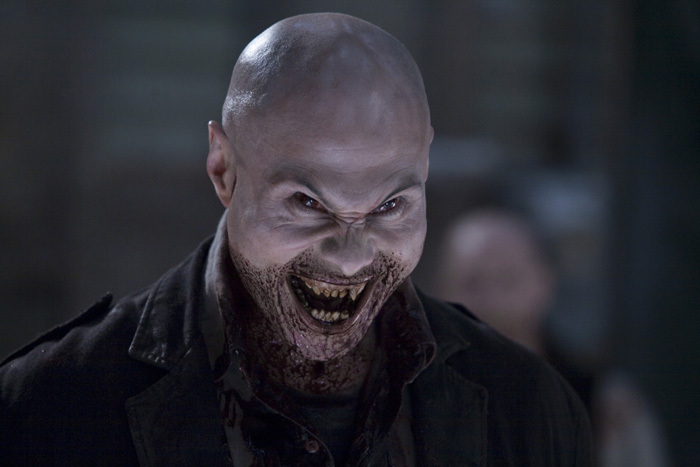 30 Days of Night: The only sparkling that happens in this vampire flick comes from firelight reflecting blood on bared teeth. Brutality seeps deep into the crimson snow, as these insidious vampires creep into the night to take back their genre. In a desolate Alaskan town about to enter 30 days of complete darkness with the winter, these creatures rip and tear their way through the town’s population. We will be discussing this one on the podcast later, but seriously, it is a must see. Innkeepers: I have been assigned this one, but I know for a fact it made my co-host Albert Berg stuff his ears with a nearby hotdog to avoid the crazy. Join me, in this pre-viewing recommendation. Hocus Pocus: Shut up. I have to make the lady friend happy too. And that one blond witch is fine if memory serves. Now my dear readers, tell me what is on your list for this halloween extravaganza. Leave behind the candy corn and bring the chocolate and beer to the comments section.